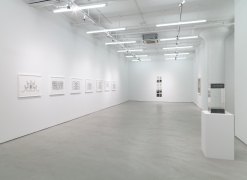 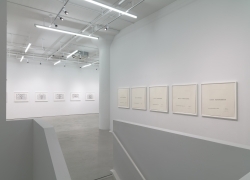 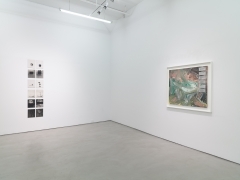 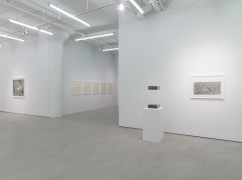 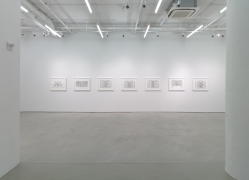 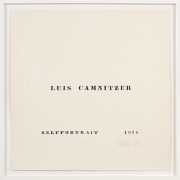 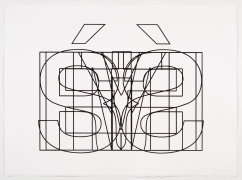 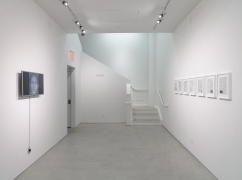 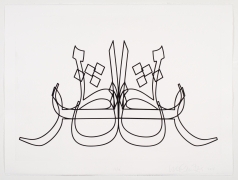 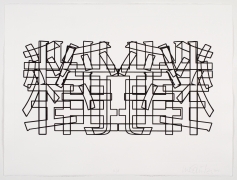 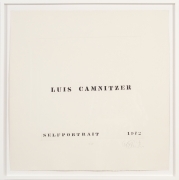 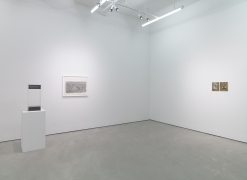 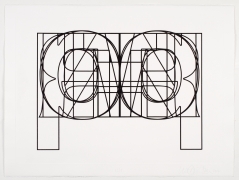 Alexander Gray Associates presented an exhibition of artwork by Luis Camnitzer, featuring works in a variety of media dating from 1968 to the present. 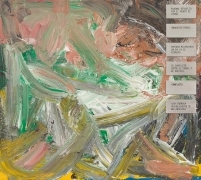 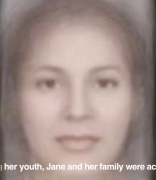 An accompanying catalogue was published in both English and Spanish, featuring the artist’s essay The Mediocrity of Beauty (2010). 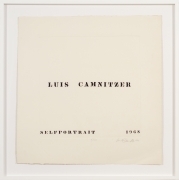 Camnitzer believes that art’s function is not to reinforce traditional notions of beauty, but rather, it can create alternative orders and frameworks, enabling an expanded perspective. 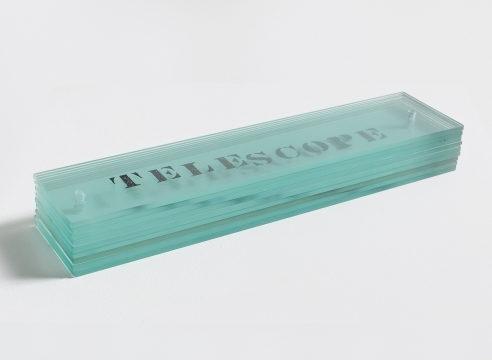 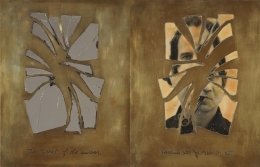 This philosophy is represented in works such as Questions and Answers (1981), a series of ten photographs of ordinary objects, which the artist made under hypnosis; and Seven Virtues (2014), a seven-part graphic work in which Camnitzer indexed the seven cardinal and theological virtues—charity, courage, faith, fortitude, hope, temperance, prudence—into the pages of Dorland’s Medical Dictionary. 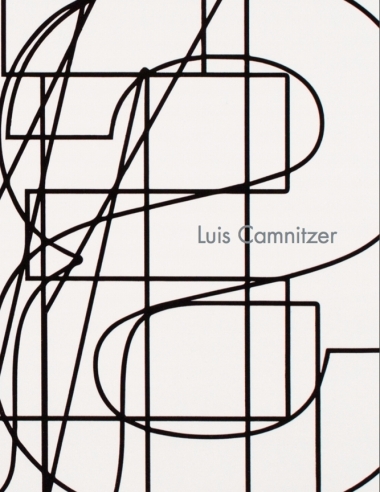 Altering the clinical tone of this volume, he defined each virtue in the context of medical descriptions of ailments, which suggests a more nuanced understanding of the human state and the present condition of religious and scientific ethics. 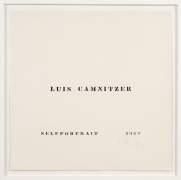 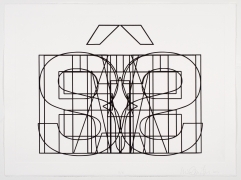 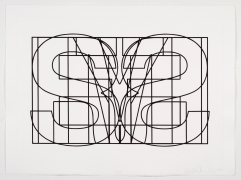 Transgression has characterized Camnitzer’s practice since the mid-1960s, when he co-founded The New York Graphic Workshop with fellow artists Argentine Liliana Porter and Venezuelan José Guillermo Castillo (1939–1999). 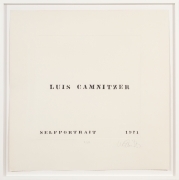 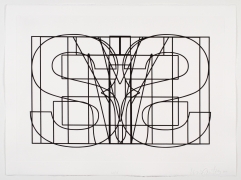 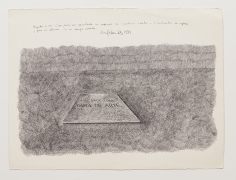 The etchings Self-portrait (1968–72), a series of five self-portraits that only include the inscription of the artist’s name and the date of creation, demonstrate this defining quality and question authorship, authenticity and seriality. 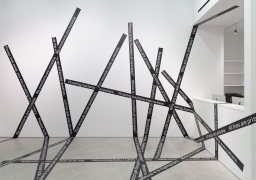 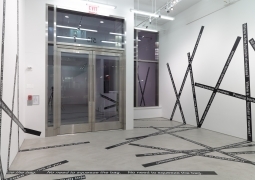 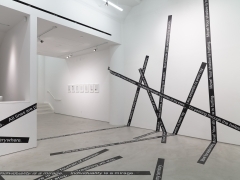 Camnitzer’s interest in language extends to Please Look Away (2014), a room-size installation that invited the audience to walk into the immersive cage-like environment made of imperative inscriptions, such as “Please look away, you are invading my territory,” printed in white lettering on black vinyl banners adhered along the walls and floor of the Gallery, demarcating the alienation of physical space.